Billboard Hot 100: #97(-6) Too Much to Ask, @NiallOfficial [9 weeks]. US digital sales: Slow Hands, @NiallOfficial 994,000 (total). Niall's Too Much To Ask was GOLD certified in Italy for over 25,000 units sold. All of his singles went GOLD there! Billboard Hot 100: #98(-1) Too Much to Ask, @NiallOfficial [10 weeks]. US digital sales: Slow Hands, @NiallOfficial 1,002,000 (total). Souldn't this be at least Gold with the RIAA? This Town and SlowHands are both 1xP. Slow Hands is GOLD in Brazil for over 20,000 units! Niall's Flicker was certified GOLD in Australia (35k) and Slow Hands 4x PLATINUM (280k). Its already eligible for Gold in US, they might buy the second Platinum for Slow Hands there too. 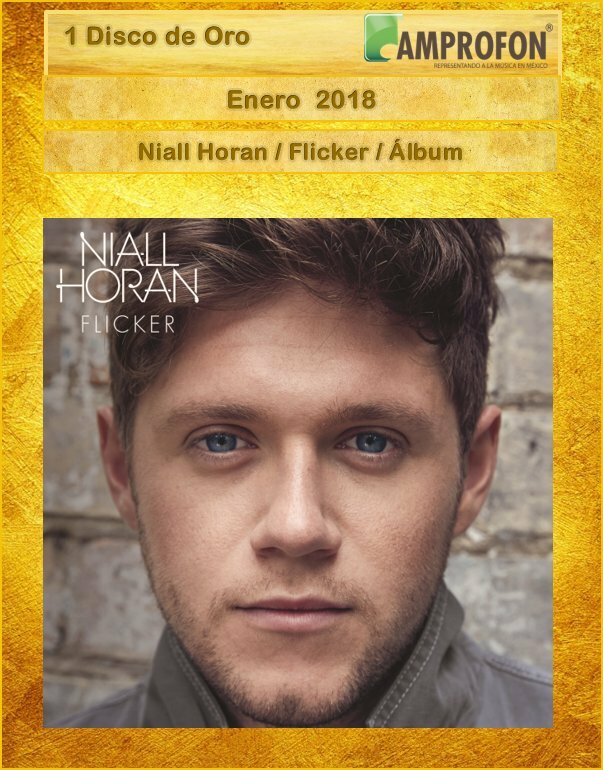 Niall's Flicker was certified GOLD in Mexico for over 30,000 copies sold! Billboard Hot 100: #93(-7) Too Much to Ask, @NiallOfficial [12 weeks]. US pure album sales: #55 @NiallOfficial, Flicker 2,345 (202,687 total). Album leaves the top 75 for the first time today in the UK.